Come along and slide down this fantastic new 15' inflatable ride! Slide, glide, Slippity Slide, everybody on your block is going to love this ride. 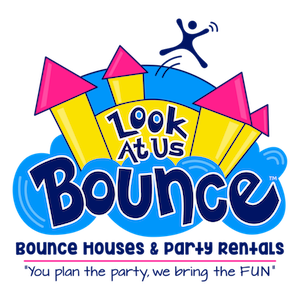 Look At Us Bounce! is back with a new addition to the Slippity Slide ride. Our 15' Slippity Slide is the newest addition to our slide family. The nine-foot tall slide platform is covered with a safety netting to prevent jumping and the slide is protected with high inflatable walls and bumpers. The 15' Slippity Slide can be used as a dry slide, but it won't be living up to its name unless you add some water. 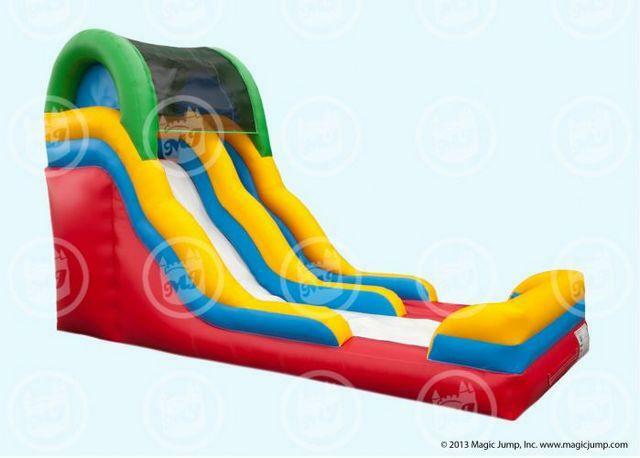 It has a 6-inch deep splash zone at the end of the slide which makes for a fun exit.